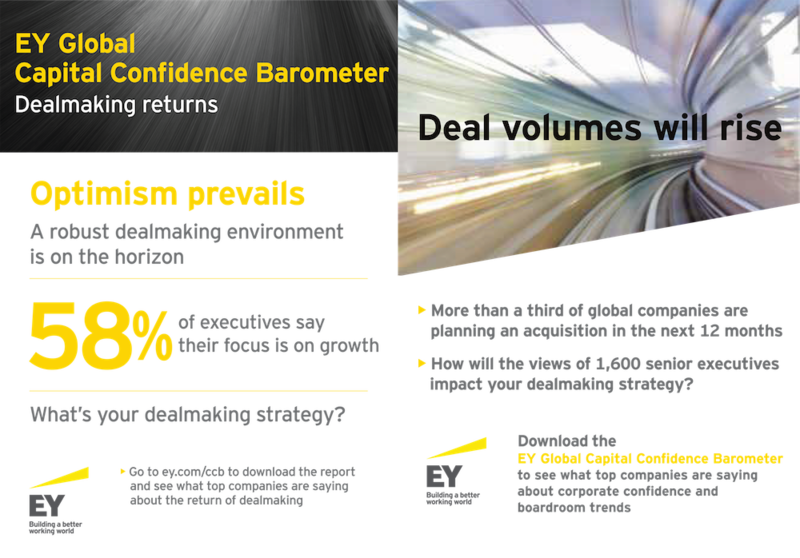 Ideon showed EY how to play big in an M&A market of opportunity. The Company—EY is a multinational professional services firm headquartered in London, England, one of the largest professional services firms in the world and is one of the "Big Four" accounting firms. Transaction Advisory Services is one of its largest and highest performing divisions. 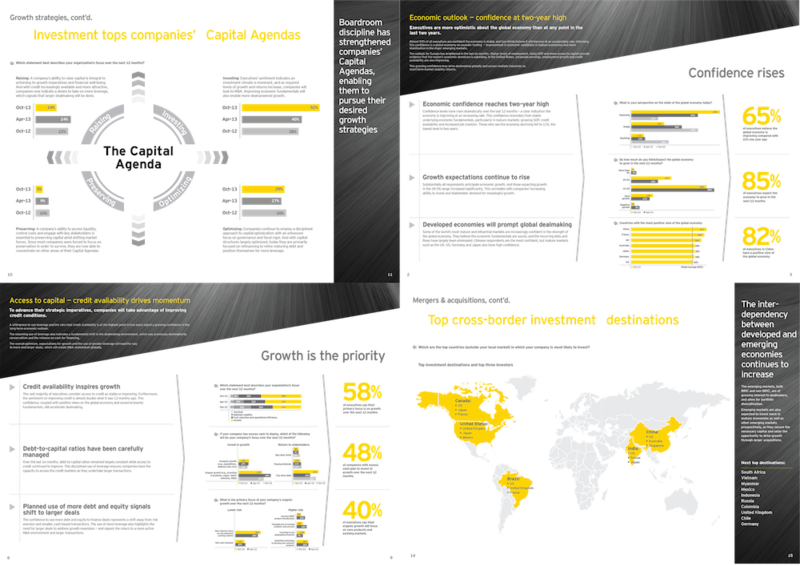 The Challenge—Create a bold new brand for TAS to mirror the new M&A market on the horizon and align with EY’s global design overhaul. The Insight—The power of branding to step out of cluttered category. M&A was ready to make a comeback, and TAS was merging strategy and deal-making work for clients in new, highly sophisticated ways, and raising the intellectual bar, requiring discrete brand awareness for TAS, while carving out category space under EY’s masterbrand. Conversation: Switch focus from discussions around process to outcomes/benefits. Clarity: Deliver winning strategies for clients vs. me too strategies from the Big Three. 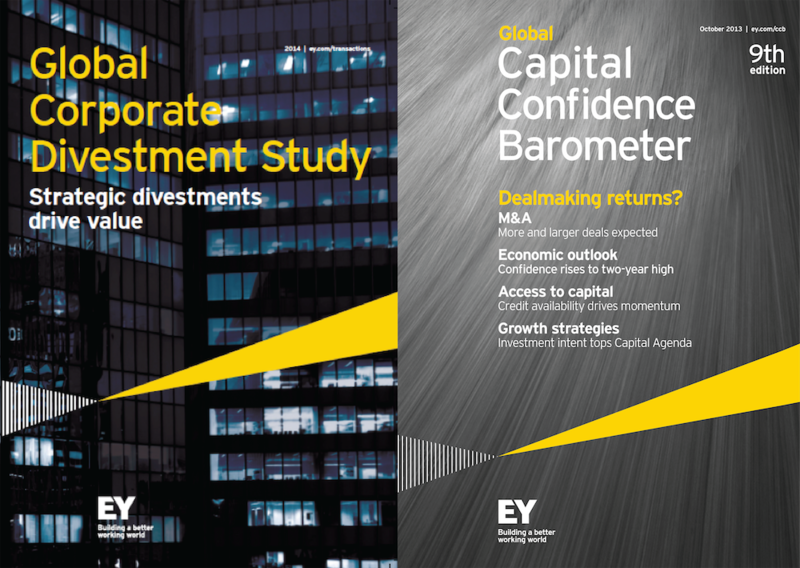 Currency: Catch up EY’s branding excellence with their business acumen as the M&A market heats up. 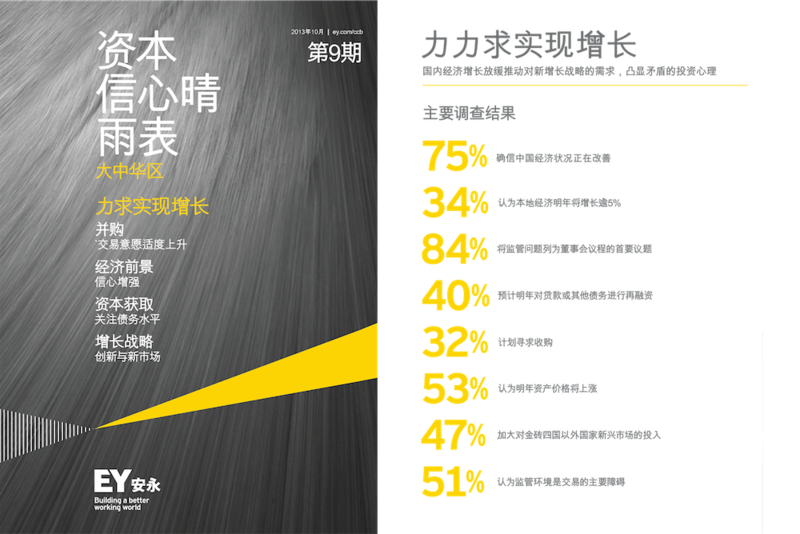 Culture: Motivate EY employees to buy-into the success agenda. The Result—TAS is perceived as best in class amongst the Big Four. 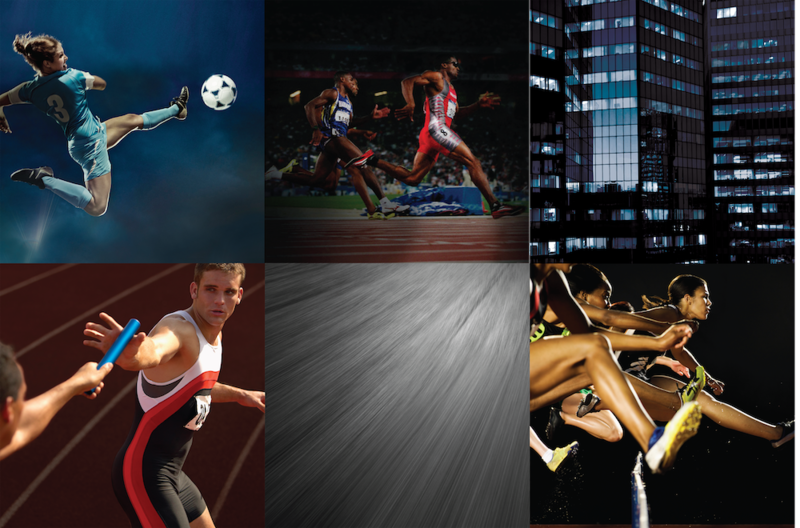 We leveraged EY's image library to develop a focused photo strategy based on movement. 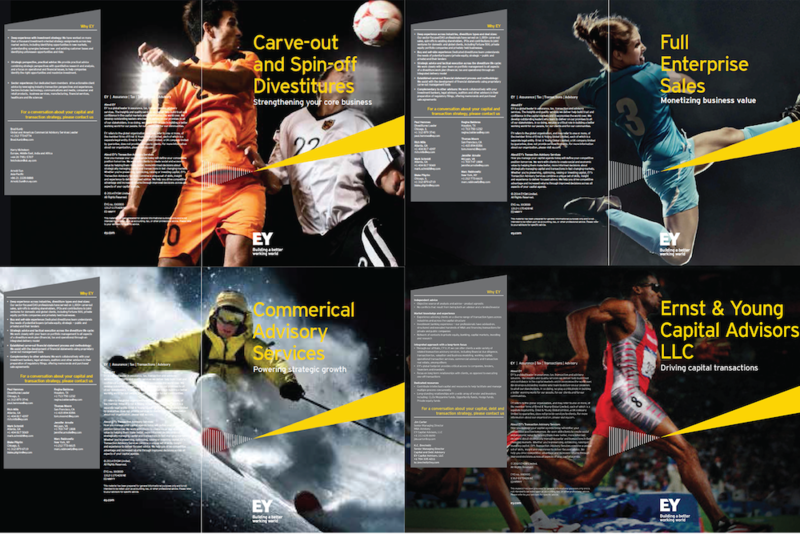 EY's new brand brochures feature athletes in motion, conveying energy, spirit, and determination. We leveraged design strategy to display technical information in any easy-to-understand, beautiful way. We crafted a brand voice to inform engaging client communications.